If you've looked at the articles attached to my other images in order, you'll have already read the story behind this image without actually having seen it yet. Andrea and Matt got married in their local church, and held their wedding reception in what was at the time one of my favourite wedding venues in Warwickshire - the Most House in Dorsington. I was lucky enough to be asked to photograph the first ever wedding reception at the Moat House, and had only photographed two there before local community members petitioned the venue's closure, and sadly went on to win a court case against the owners. 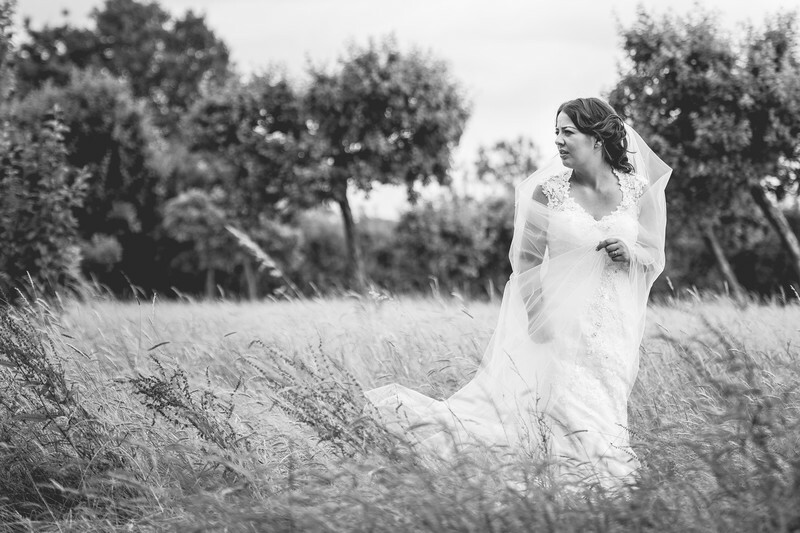 I was photographing some bridal portraits of Andrea in this overgrown grassy field that runs adjacent to the main drive of the wedding photo, when the wind started to pick up. Andrea was wearing a cathedral length bridal veil, which caught in the wind and started to flare up. Andrea grabbed the veil to stop it blowing away completely, then looked at me with this massive smile. I took a few photos before the wind died down again, with this being my favourite. 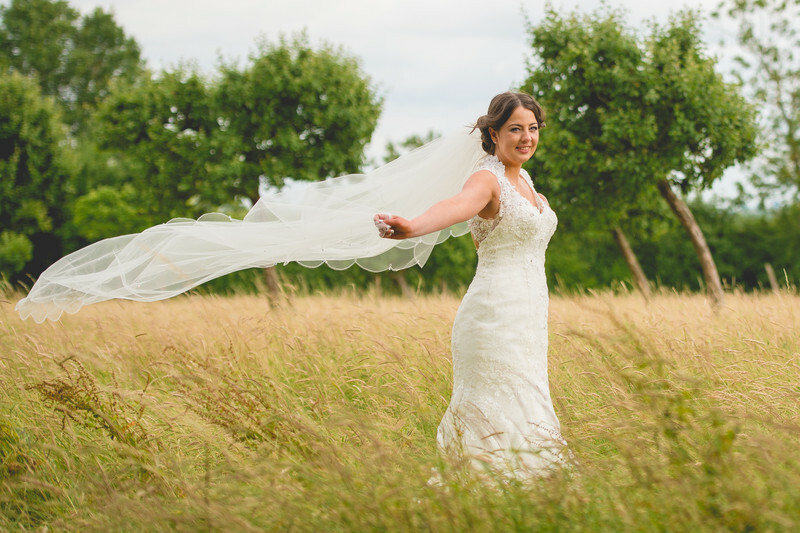 The light was perfect for this sort of image, with the powerful summer sun being diffused by cloud, it meant that the bride's wedding dress and veil weren't overpowered by the sun, instead they were softly lit which makes for a wonderful, delicate image of this bride truly enjoying herself.